John Morris Scientific are pleased to introduce YSI’s “in-bottle” Dissolved Oxygen system for measuring the oxygen content in wine. Although Oxygen is necessary in the aging process of wine, it can be detrimental to the overall quality. Too much oxygen causes browning in white wines and degrades the flavour in both red and white wines. In the past, wine had to be decantered from the bottle, before it could be tested (therefore adding more oxygen to the wine and showing an incorrect reading). YSI’s 5010-W has a long probe that fits directly into the neck of the wine bottle, measuring the oxygen content from within the wine bottle and therefore showing an accurate reading. 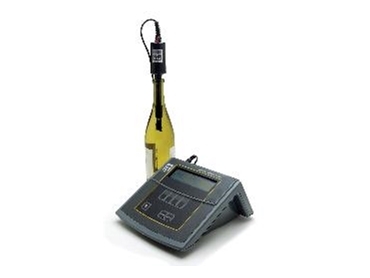 The 5010-W wine bottle DO probe, coupled with the YSI 5000 or 5100 DO meter, is ideal for measurements in the QA Lab or right at the bottling line. It is powered by 240 VAC mains power, or can be battery operated for versatility. It features internal memory for up to 100 sets of data and can be direct connected to a computer.